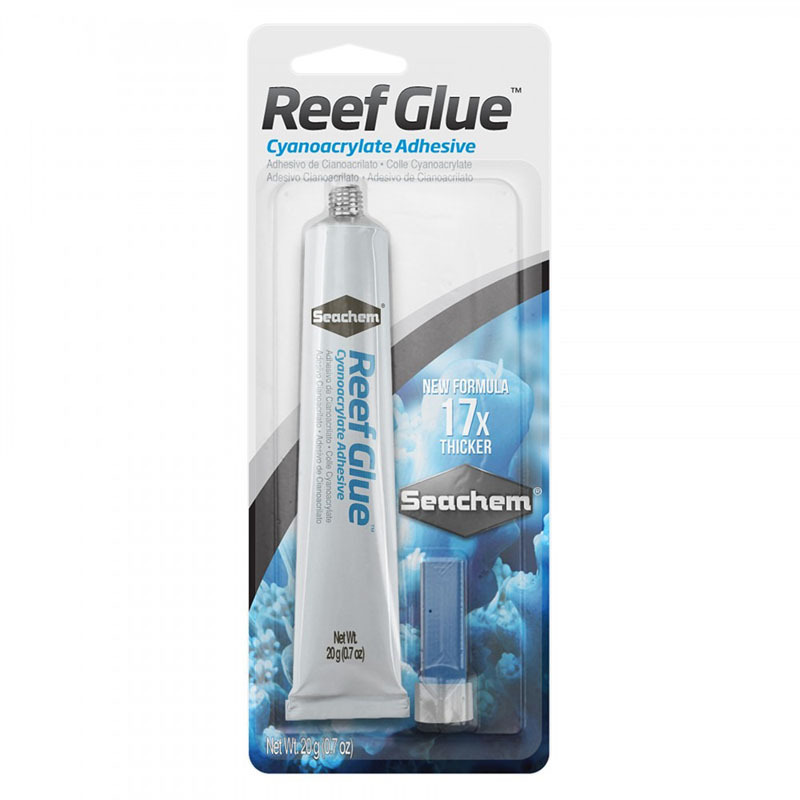 Reef Glue is a superior cyanoacrylate gel for gluing and mounting coral frags and colonies to reef rock or plugs. It bonds within seconds and has excellent control, hold and durability characteristics. It can even be used underwater. 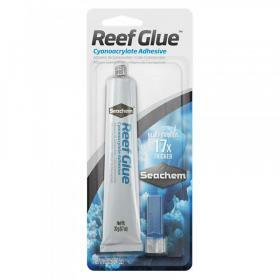 Reef Glue can be used for any aquascaping in freshwater or saltwater aquariums or for any plastics repairs. Reef Glue is in an aluminum tube for extended stability life beyond products contained in plastic bottles - it won't dry up in the tube. To adhere frags, colonies, or for general aquascaping, first test fit the item to be glued onto the site it is to be adhered. Note the contact points the item has with the site. Retrieve the item and, while not submerged, place a small amount of glue on each site contact point. Quickly fit the item onto the site again. A skin will form over the glue upon contact with water. 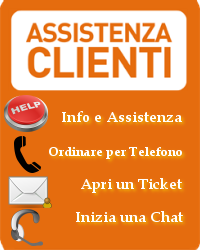 It is helpful to break this skin slightly while in contact with the site. Hold the item down for about 15 seconds (more in areas of strong flow). Check that the item is secure. Repeat as necessary in order to build up a small amount of glue for a more secure hold.